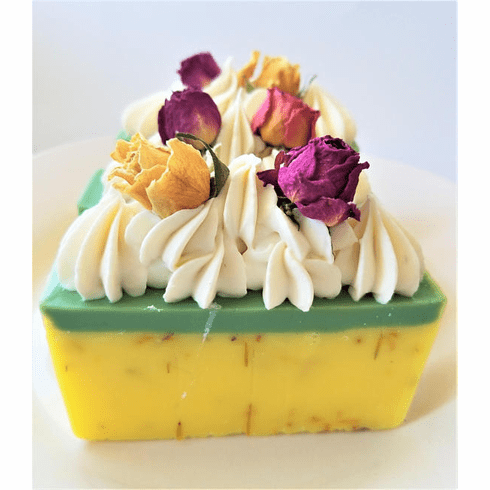 This lovely soap is scented in a fragrance that denotes rosemary, thyme, sage, and basil with a hint of lavender. Made with coconut oil, olive oil, shea butter, and calendula petals. Decorated with piped soap and two dried rosebuds. Weighs approximately 5.25 ounces.